Jaguar XF R-Sport 180PS means business, delivering outstanding driving dynamics and efficiency combined with a level of prestige and elegance only a Jaguar can deliver. Fuel economy up to 65.7mpg and CO2 emissions at 114g/km. Optional on all XF models, Secure Tracker detects the theft or unauthorised movement of your car. It alerts your XF, pinpointing its whereabouts and liaising with the Secure Tracker monitoring centre to enable tracking. Even if your car is taken with the keys, you can activate the alert by calling the tracking call centre using the InControl Remote app. Includes a Gloss Black grille, matching Gloss Black side power vents and Gloss Black tailgate finisher. 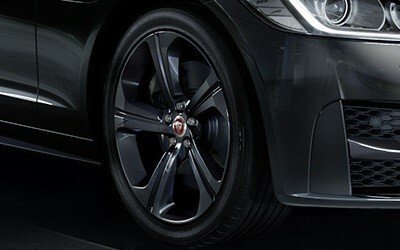 19" 5 spoke 'Style 5035' Gloss Black alloy wheels add a touch of drama, and complement the Black Pack features. The Rear Camera provides better visibility when manoeuvring. The system features coloured distance guides and guidance lines on the Touchscreen to help you when reversing. Did you know you can part exchange your current vehicle with us and use it as a deposit towards your new Jaguar? Higher deposit guarantees lower monthly payments. Cashback is also available. Click HERE to value your vehicle online. 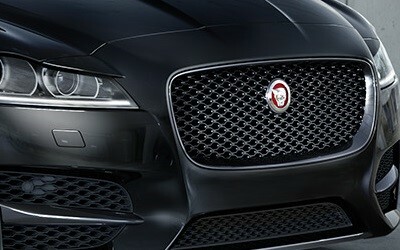 Official fuel consumption for the Jaguar XF Range in mpg (l/100km): Urban 23.7-58.9 (11.9-4.8); Extra Urban 42.2-78.5 (6.7-3.6); Combined 32.9-70.6 (8.6-4.0). CO2 Emissions 204-104 g/km. Official EU Test Figures. 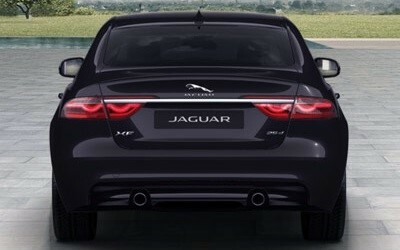 Based on Jaguar XF 2.0d  R-Sport Black Edition Automatic standard specification, non-maintained. Contract Hire subject to status. Over 18s only. You will not own this vehicle. Must be returned in good condition to avoid further charges. Excess mileage charges over given mileage per annum charged (at 17.78p per mile). The promotion cannot be used together with other manufacturer's promotion and is subject to availability at participating Retailers only for new vehicles ordered by 31st March 2019. Provided by Jaguar Contract Hire a trading style of Lex Autolease Limited, Heathside Park, Heathside Park Road, Stockport, SK3 0RB. Model shown for illustrative purposes only.